Baptisia Australis perennials are rugged and easy to grow. Their lupine-like spires of bloom are real attention getters and they have season long interest from foliage too. They are also often referred to as wild indigo. I have transplanted divisions of my original small plant many times in my garden and now have several really large bushes of it in many of my garden beds. It grows into a full size shrub in no time at all. Most people grow Baptisia for their eye catching flowers, which come in white, blue, yellow and purple, but flowers are only part of their appeal. They are tough, almost completely pest and disease free and have a long season of interest even after the flowers are gone. The bees and butterflies just love it. And even the hummers can’t seem to resist the lovely flowers. 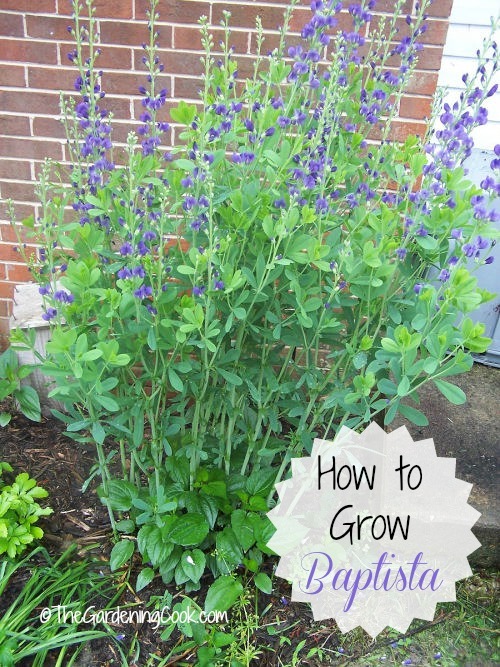 Baptisia is a large plant and it will only bloom once – in the early summer, so be sure to put it somewhere in your garden where the foliage will offer interest later in the year. You can start Baptisia from seed, but they are somewhat slow to flower, so division or small plants are a better way to go. Divisions will show some shock at first but the plants soon pick up if you just prune them after you divide and replant. They have tap roots, so can be a bit tricky to divide. They are very long lived plants but will spread into quite large bushes, so be sure to keep an eye on this and divide as necessary. A mature bush can get to 3 or 4 feet tall and wide. Deadheading this plant is not necessary which saves a lot of time in the garden. Flowers are unlikely to appear until the third season but the foliage is very interesting. Baptisia can be propagated from cuttings rather than division. Water regularly the first year but, once established, the plants are very drought tolerant. I rarely water mine here in NC. Give the plants a good pruning after flowering (best done in the fall) so they do not get too top heavy. 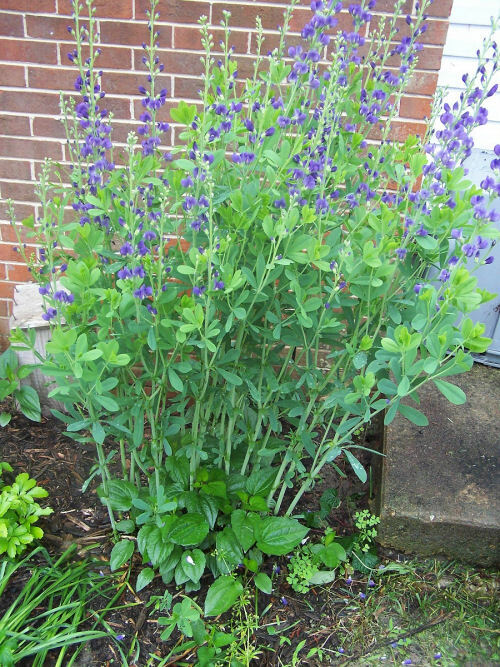 The Perennial Plant Association named Baptisia Australis, or False blue indigo, the plant of the year in 2010. ← Weird things you Did not Know you Could compost. 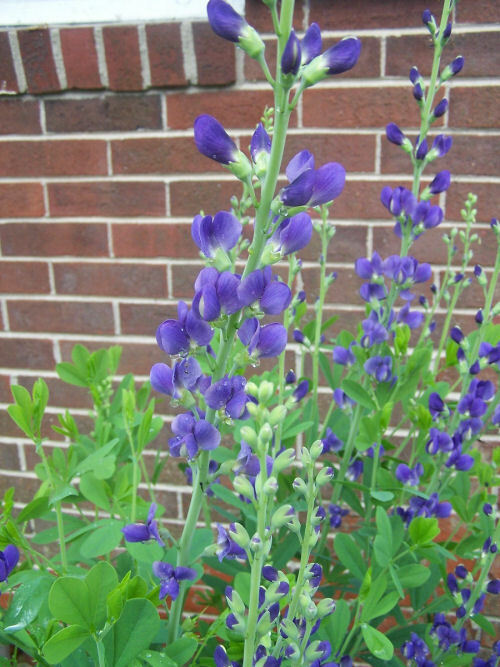 Can you explain how to propagate false indigo from cuttings? When should this be done? Does it take a long time for cuttings to root, grow, and bloom? Hi Sheila. I normally propagate this plant from divisions since this is a super easy to do it. If you don’t have a plant but can get some cuttings, it will take. To propagate them, take 1- to 2-inch tip cuttings from semi-soft or soft growth during late spring or early summer. Dip the cuttings in a powdered rooting hormone and place them pots in a well draining sterilized rooting medium in a shady area. They need high humidity to take.Enclose the pots in clear plastic and insert stakes to keep the plastic from touching cuttings. Mist the foliage once a day, if you can. Pot the cuttings up after they have rooted—which generally takes about four weeks.